Scrapbooking magazines offer possibly the biggest source of scrapbooking inspirations for majority of the scrapbookers. I’ve discovered in a survey conducted for scrapbookers by Creating Keepsakes, that about 90% of the scrapbookers (this survey was a few years old, I believe the percent has reduced now) get their inspirations from reading magazines on scrapbooking. Point noted. It’s not hard to imagine. Because I’m one of those who’ll frequently peek into scrapbooking magazines, and actually feel a thrill run through me as I excitedly flip from one page to another. Do you feel the same? It’s wonderful soaking up all these highly creative, inspiring layouts and tips given by various talented scrapbookers. True, I might be a long shot away from their level of expertise, but looking at those gorgeous layouts just inspires me. And staying inspired is so important in getting you to create more layouts. And nothing beats the feeling of running your fingers through the glossy pages of a beautiful magazine. There’s no rush at all, you’re transported into another world where you and scrapbooking layouts exist… for a reprieve. If you’re like me and many other scrapbookers who prefer reading from a magazine itself, you’re in good company. Creating Keepsakes is one of the most popular scrapbooking magazine today. It’s the one I’ve been able to get my hands on the most. This is a magazine for the intermediate to the advanced scrapbookers, yet many beginner scrapbookers couldn’t keep their hands off this magazine like I was when I first started. It retains a “something for everyone” appeal. Each monthly issue is jam-packed with highly creative scrapbooking ideas, tips, techniques and layouts. Even if you’re a beginner, you’ll create better-looking and more creative layouts after reading and being inspired by this magazine. If you’re living in the US, you can get great annual subscription fee with free shipping. That means each monthly issue works out to be much cheaper than its cover price. I don’t live in the US and so I don’t get to enjoy the cheap annual subscription rate. After adding in the big shipping charge, the cost of an annual subscription for an International subscriber is much higher than a US subscriber. So what did I do? I just go to my local libraries to borrow this magazine. OK, that means I’m reading the back issues most of the time which I don’t mind. But there were times when I was in luck and got my hands on the latest issue! Alternatively, I could visit local scrapbooking stores and pay for overpriced issues which I rarely do. Update 2012: There used to be several popular scrapbooking magazines that are sold in the newsstands. 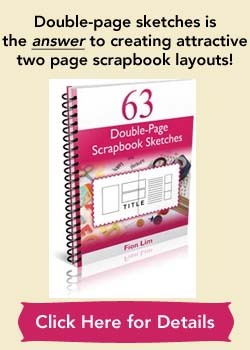 I remember Simple Scrapbooks as being a great magazine for its simple and doable layouts, which are great for beginners or for those of us who like simple, clean looks but it ceased publication in 2009. LIkewise, Memory Makers Magazine was shut down in 2009. Then I just found out that Scrapbooks Etc. which was touted as the “must-have” magazine for scrapbookers has also ceased publication this year. Update 2014: Even Creating Keepsakes has ceased publication. Their last issue was Nov/Dec 2013 issue. 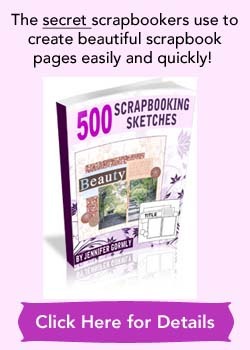 Perhaps these days scrapbookers are turning to digital online scrapbook magazines or idea books for inspiration.